Guatemala's Volcano of Fire spewed ash and lava Saturday just months after an eruption killed at least 110 people. The country's seismology and volcanology institute said hot lava was spilling from the crater and flowing toward a ravine. Constant rumblings from the volcano sounded like an engine, and columns of gray ash billowed 4,600 meters (15,091 feet) into the air. 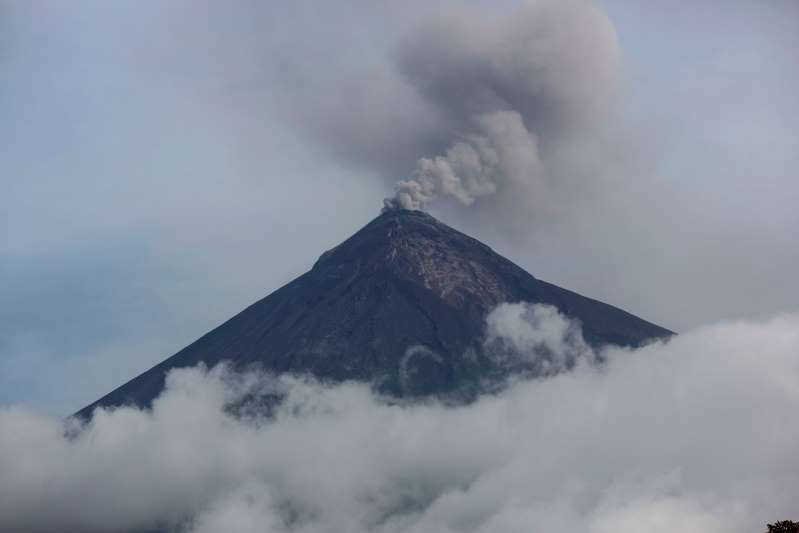 Authorities urged nearby residents to evacuate and be alert for possible lahars - flows of mud, debris, water and pyroclastic material - that could be fed by afternoon rains. The Volcano of Fire is one of the most active in Central America. Dozens of people were buried alive or burned beyond recognition in June when the volcano expelled smoldering gas, ash and rock, catching residents off guard.